ELF cosmetics is known for their affordable but high-quality makeup products. I’m always recommending ELF as a cruelty-free drugstore brand but lately I’ve been hearing some compassionate shoppers question ELF’s cruelty-free status and asking whether ELF products are actually vegan? Which is totally understandable as ELF has evolved and expanded their products in the last couple years so I thought I’d clarify everything up in this post! 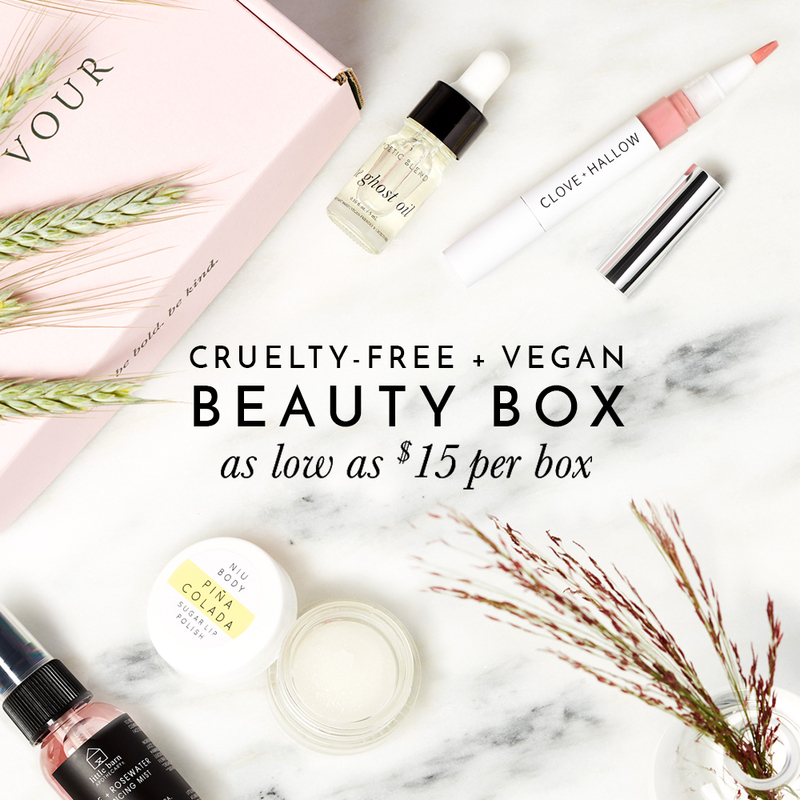 In an effort to keep things as simple and straight forward as possible, here are the basic facts that you need to know about ELF’s cruelty-free and vegan status. 1. All ELF brushes are synthetic and vegan! In 2016, ELF announced they were planning to discontinue their makeup brushes that were made out of horse hair and switching to animal-free makeup brushes instead. 2. ELF is NOT sold in Mainland China! There have been some confusion about ELF making and selling their products in China and whether their products are required by law to be tested on animals. In case you didn’t know, all imported cosmetics in Mainland China are required by law to be tested on animals. However, ELF only manufactures their products in China, they don’t sell any of their products in China. There is a big difference when it comes to China’s animal testing laws that depends on whether you’re making or selling cosmetics in China. Therefore ELF can manufacture their products in China but just as long as they are not selling in China, then they remain to be cruelty-free! 3. All ELF Makeup is Vegan! It is indeed true that all of ELF makeup products are considered to be vegan and do not contain any animal-derived ingredients! 4. But Is ELF Skincare Vegan? *Update (2019): ELF Cosmetics has now confirmed that all of their products, including makeup and skincare, do not contain any animal ingredients and are considered vegan! This is confusing because I don’t know if they’re using the word “cosmetics” as part of their brand name, which implies all of their products are vegan, or if they’re trying to say only their cosmetics are vegan friendly? All ingredients used in “e.l.f. cosmetics” are vegan friendly. All ingredients used in e.l.f. “cosmetics” are vegan friendly. I’ve tried to ask for clarifications but was told, “Our products do not contain gluten or beeswax.” For the time being, it is unknown if all of ELF skincare products are vegan but you can rest assured ELF makeup are vegan. All ELF brushes are now synthetic and vegan! ELF products are NOT sold in Mainland China and they are cruelty-free! All of ELF makeup products are considered vegan! All of ELF skincare products are now considered vegan! I recognize this is an old post, but I recently acquired a lipstick by e.l.f., to which the ingredient “beeswax” was listed on the makeup FYI. The lipstick did have the leaping bunny label. Would you be able to tell me which ELF lipstick you’re referring to? and what shade it was? I’ll have to look into this. And perhaps did it say “synthetic beeswax”? I know some of ELF’s lipsticks do contain synthetic beeswax which is considered vegan. But I’d be happy to look into this some more and update this post if some of ELF products use beeswax now. Also, please note that Leaping Bunny only implies the product and company does not test on animals. They do not look into whether products are vegan (do not contain any animal-derived ingredients) in order to become certified Leaping Bunny.